Interestingly, most men think about cotton or linen fabrics first. Also, the lightness of the fabrics seems to be the number one criterium, but these are only two aspects of warm weather menswear. Therefore we created this guide where we explain what to look for in hot weather clothing. Although a summer suit needs more than just one characteristic in order to be worn comfortably, the most important aspect is neither weight nor the choice of material – it is breathability. When it is hot, you definitely want to feel every breeze coming your way, and the best way to do so is with an open-weave fabric. Loosely woven fabric such as basketweave fabric, is usually popular in summer and achieves the desired cooling effect. When you hold a piece of this fabric against the light, you can see through the weave of the cloth, even it if is dark navy. If the fabric is a heavier weight, it will also keep you cooler than a featherweight cotton fabric that is tightly woven. The more open the weave, the more patterned your fabric should be to keep it from becoming see-through. However, bear in mind that lighter colors are better than darker ones since light-colored cloth reflects the sunlight whereas dark cloth absorbs it, making you feel warmer. Also, you want to make sure that you get at least a half-lined jacket because, again, the finer weave of the lining will decrease your garment’s ability to breathe. 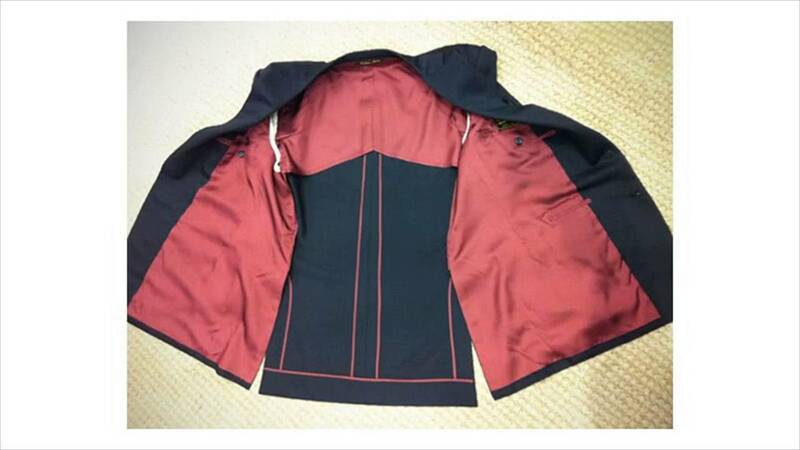 Half-lined denotes that the back does not have any lining except for the top, and fully unlined usually means that there is no lining except in the sleeves. Once you have settled on an open-weave, you can turn to choosing the weight of your suiting fabric. Fortunately, modern high-quality fabrics have a beautiful finish, and although the drape is not perfect, they are still the way to go. 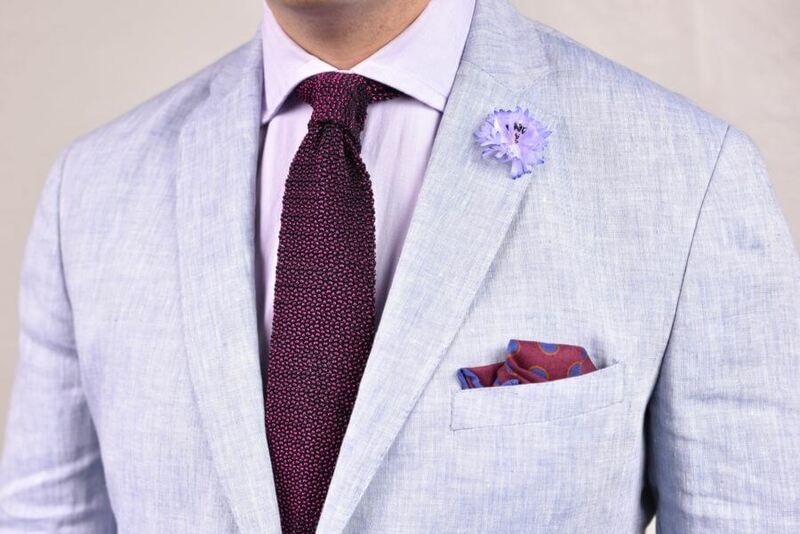 7 ounces (210 grams) summer fabrics usually have very open weaves and you should seek out specific summer fabrics for summer suits, because even though some fabrics may be lightweight, the weave may be too dense for summer. A popular summer fabric choice is Tropical. Basically all big mills offer their take on it, and it is simply an open weave worsted wool fabric. It’s generally softer than fresco but also not as breathable. Overall, it is a good choice, but if you want increased air flow you have to go with something else. Linen is a classic summer fabric because of its light weight, open weave and casual fabric structure. It is usually a little coarser than fine merino wool or cotton fibers., and it wrinkles graciously. 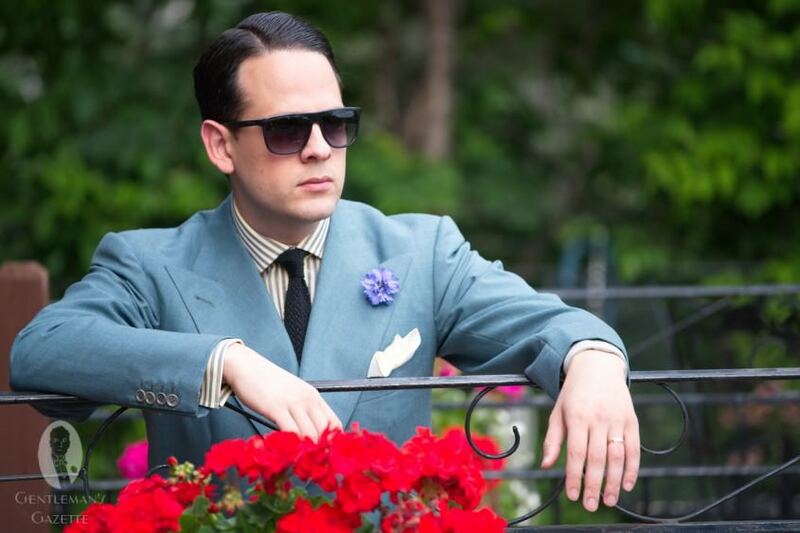 After a day wearing a linen suit, you will appear anything but dapper. After a day wearing a linen suit, you will look a bit wrinkled but in a sophisticated way. For the office, you need to be able to pull it off because many people will just think it is a wrinkled suit. Classic linen summer suit colors include tobacco brown, beige or khaki tones, but you can also go with blue. If you go with the latter, be sure to get a lighter shade of blue than you would for a wool business suit because it underlines the summer character. If you want to do something special, you can also opt for unusual colors such as sky blue linen suit. For most men, cotton seems to be a default choice during the summer. Now, there is a lot of cotton on the world market, but there are huge differences in terms of fiber length and thickness. In regard to summer clothing, the weave is more important. For example, khaki colored twill trousers or fine “summer” corduroy are not desirable since they impede air circulation. Instead, try to look for open weave poplin fabric. If you cannot see through the fabric when holding it against the light, it is not well suited for warm summer weather.